cupcakeMAG for Littles: Fashionable Treats for Chic Moms & Their Babes: Chic.Sweet.Unique -- Missie Moosie PLUS a giveaway! Chic.Sweet.Unique -- Missie Moosie PLUS a giveaway! 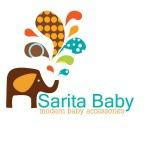 Thanks to Twitter we were able to connect with one the nicest boutique owners to come by – thank you social networking! Alana Smith is the dedicated owner/designer of Missie Moosie – one of the cutest online boutiques around - even the website makes you get excited over shopping. Missie Moosie is a children’s boutique specializing in stylish clothes (not to mention, the cutest!) that are unique & as fun as your little fashionista. The one-of-a-kind fashions are made from quality, designer fabrics that will totally stand out against average retail clothing. The superb selection for girls ranges in size 12 months to size 7/8. We love letting our littles express their creativity by wearing unique designs and supporting momprenuer companies. 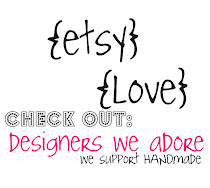 And we love that all Missie Moosie clothing is proudly handmade with care in the USA. Don’t have girls of your own to dress in these whimsical designs? They make the perfect gift for any special girl in your life. They are the perfect every day, holiday, or just because – whatever the occasion – they will stand out with perfection. The FLOURISH collection consist of great pieces to mix and match in fun designs and fabulous vibrant colors. We LOVE the bubble dress ($52) & matching ruffle leggings ($26). The URBAN ANGEL collection is funky yet sweet & girly – it appeals to every little girl. The pieces coordinate together so well so you have more than one look – because who doesn’t love versatility in a little girls wardrobe. And of course we adore the matching headbands ($10) to go along with any great ensemble from either collection. 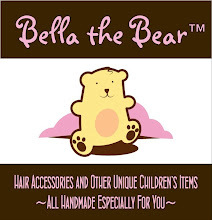 Behind the name: It really is very simple; my oldest daughter gave my youngest daughter the nickname after she was born. I want my business to be a reflection of who I am so it just fit. Making a statement: I began designing, creating and sewing outfits after the birth of my first daughter. I wanted her to wear clothing that was different, unique, and would make a statement. I truly believe in the philosophy, they are only young once, and so I loved having the ability to dress her in one of a kind boutique style outfits. And it all began: Although, the business really began 4 years ago, I have always loved the creative aspect of design; whether it was drawing up new outfits for Barbie when I was a child, to gluing fabric swatches inside a homemade doll house for curtains or slipcovers, to playing fabric store as a kid; my instinct to create has always been there. I love fabric and the creative process of putting fabrics together to make something unique. On a personal note: I whole heartedly love my family. My husband is my biggest fan, and the best supporter, and my 3 children continue to inspire me every day! I am a HUGE sports fanatic, and prefer to watch Sports Center over most shows (aside from American Idol), and will always love the Denver Broncos; I played tennis on a scholarship in college, and still try to be as active as I can. I recently finished my first marathon in 2009, and am looking forward to a few more. 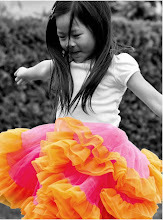 Passion for Fashion: I am thrilled, and honored to be able to create and design unique outfits for your children. I truly LOVE what I do. I take great pride in and believe wholeheartedly in outstanding customer service; and Know that all of Missie Moosie's clothing is handmade with care, right here in the United States! Thank you for shopping with us, and for sharing Missie Moosie with your children. 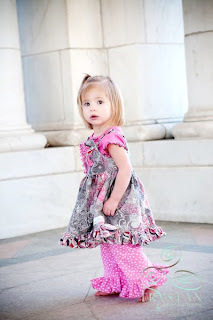 We love GIVEAWAYS especially adorable clothes like Missie Moosie! Alana is letting one of our lucky readers pick one dress of choice from the Flourish or Urban Angel collection. Take a look at the Missie Moosie website and tell us which dress you would love to dress your mini-fashionista in - this comment is mandatory to be entered! And please, make sure you are a follower of Cupcake Mag & Sprinkles. For extra entries, please leave a separate comment for each entry letting us know! 1. Follow Missie Moosie on Twitter, become a fan on Facebook & follow the Missie Moosie blog. 5. Write a blog post about this giveaway on your blog! Please comment below with your email address. We will select a random winner on Monday March 1st! Start commenting now and good luck! For those who just can’t wait to win head over to Missie Moosie now and shop around for spring. I have always loved Alana's designs and her spring lines are NO exception! Her attention to detail and her funky style are what makes her clothes so wonderful! If I had to pick one dress I would love to own it would be the Flourish Mallory Top but equally as gorgeous is the Flourish Allie dress. I love them both! It's a tie between the Allie dress with the orange leggings and the Mallory top with the turquoise leggings. I'm a MM blog follower. I love love love the Flourish Allie Dress in Orange! Attending a trunk show in a couple weeks and can't wait to buy some of these clothes for my daughter - absolutely adorable! I love the Urban Grey "Charleigh" dress! Follow Missie Moosie on Twitter, fan on Facebook & following the Missie Moosie blog. I am in love! Beautiful clothes for beautiful girls! Harper would look adorable in the Urban Allie Dress. Thanks for the great giveaway! I am now a MM super fan-fb, blog and twitter follower! Of course I follow @cupcakemag on Twitter! The Urban Allie would be great on my little fashionista. I love the Urban Grey Charleigh Dress...simply adorable! 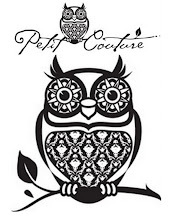 Also following on FB and the blog...cute stuff! My favorite has to be the bubble dress, so cute! I am a facebook fan, would love to win the Urban Allie dress. I love the Flourish "Charleigh" dress in turquoise! Love, LOVE the Flourish Allie dress in orange! Phew! Following the Missie Moosie blog. I just adore the Flourish Allie Dress in Orange!! I LOVE the Flourish Allie Dress in Orange! I also really like the Urban Allie dress! Such cute stuff! I follow Missie Moosie on twitter! I follow the Missie Moosie blog! I follow Cupcake Mag on twitter! I tweeted this giveaway with @cupcakemag! You know I love Missie moosie stuff, but my fave has got to be the Urban Mallory Top! I just love that one! I tweeted about you both! LOVE the pink urban bubble dress with pink tights! Follow the Missie Moosie blog. I'm a follower of your blog and a big fan of Missie Moosie clothing! I LOVE the Flourish Allie Dress! Followed Missie Moosie on Twitter! It was super hard to pick! I love them all so much and can't wait for the snow to melt so I can do some spring shopping, but my favorite has to be the Flourish Allie Dress in Orange it's so perfect! If I were to win I would love the Flourish Mallory top for my almost year old little girl in 18 months! Subscribing to the blog! Love so many things it's hard to choose. Maybe turquoise Charliegh first on the list. 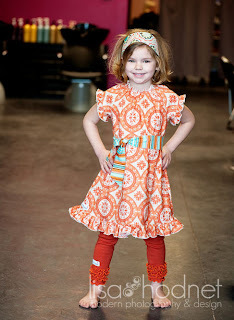 My daughters favorite color is orange so I would LOVE the Flourish Allie Dress in Orange!!! I love the Urban Bubble dress! I follow Missie Moosie on Twtiter; follow their blog; and am a fan on FB. I LOVE the bubble dress and leggings. What a cute outfit! 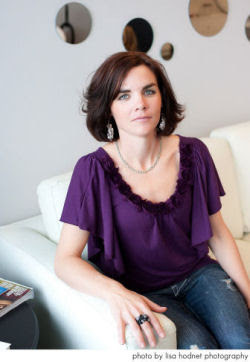 I follow Missie Moosie on Twitter -- LOVE the Flourish Mallory top! Wow! 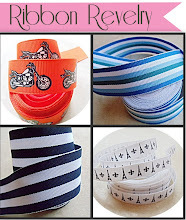 I am a fan of Missie Moosie on Facebook -- Flourish Mallory is my fave! I am a follower of Missie Moosie's blog! -- Flourish Mallory is my fave! I follow Cupcake Mag on Twitter! -- Flourish Mallory is my fave! 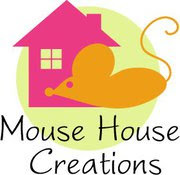 I am a fan of Missi Moosie on FAcebook! My favorite is the Urban Grey "Charleigh" dress. Thank you all for entering the Missie Moosie giveaway! The winner is ONECHICMOMMA! Please email me asap so your goodies can be sent your way! Stay tuned for more giveaways...including one starting tomorrow! I love the The Flourish bubble Dress! Fan on Facebook (lena naef) & follow the Missie Moosie blog. Tweet: @CupcakeMag I love Missie Moosie and the Flourish Mallory top! Here's to a Cupcake Mag giveaway! Crossing my fingers! Tweet: @MissieMoosie I love Missie Moosie and the Flourish Mallory top! Here's to a Cupcake Mag giveaway! Crossing my fingers! TinkerDot Designs plus a GIVEAWAY! Monkey --Toes -- LUV BUGS GIVEAWAY!